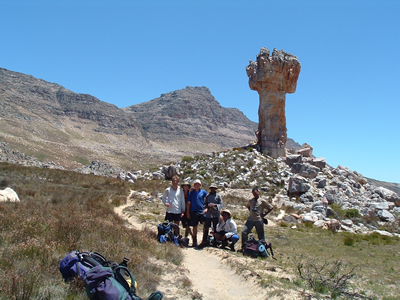 The boys will hike with staff and on their own; they will cycle along country roads; challenge themselves on the banks of the Clanwilliam Dam and work with school children at Elizabethfontein in the Northern Cederberg . They will also be stationed at Sanddrift and Jamaka, where they will learn a range of skills and contribute to the upgrading of the environment in which they find themselves. There will be a number of staff at each base supervising operations. The boys will learn a range of new skills during the course of their Grade 10 year which will help them prepare for the challenges they will face. There will be time for fathers to join their sons on the last day and make the whole experience a significant “rites of passage” for each pupil.